Warhead wrote: You'd have to get proper looking WWII M1 Rifles and thomsons though, BrickArms? Not exactly the weaponry you mentioned, but still US WWII! Just some fun items Will recently sent me. 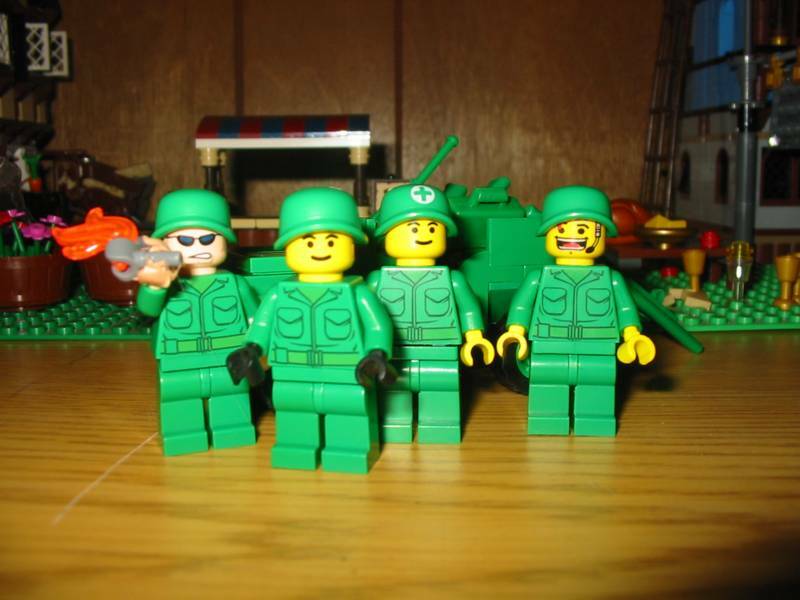 A pack of green-colored accessories to compliment the Toy Story soldiers is something Will's been considering. Love the first rifle, very WWII BAR? and will send you the cleaning bill for the stains on my Y-fronts for the second as I see A-Team potential with that Carbine. 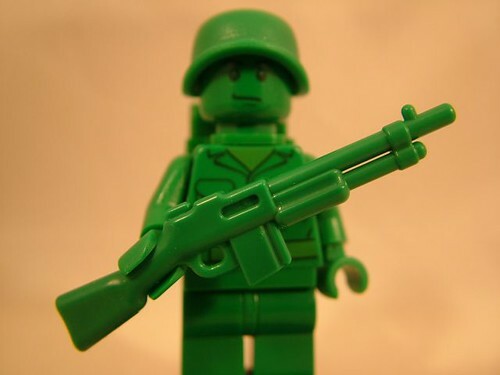 Hold it, arent the classic green army men, including thos from toy story, from the vietnam era? with M16's? 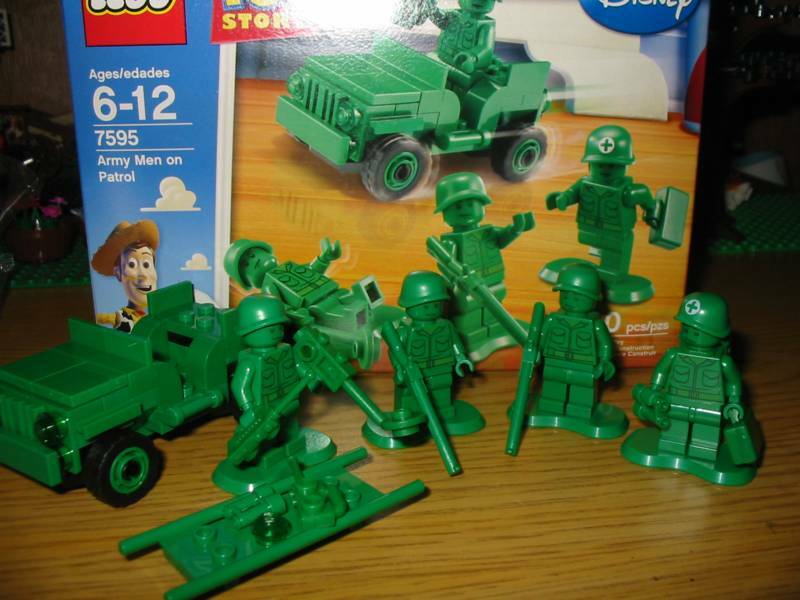 Ranger S2H wrote: Hold it, arent the classic green army men, including thos from toy story, from the vietnam era? with M16's? 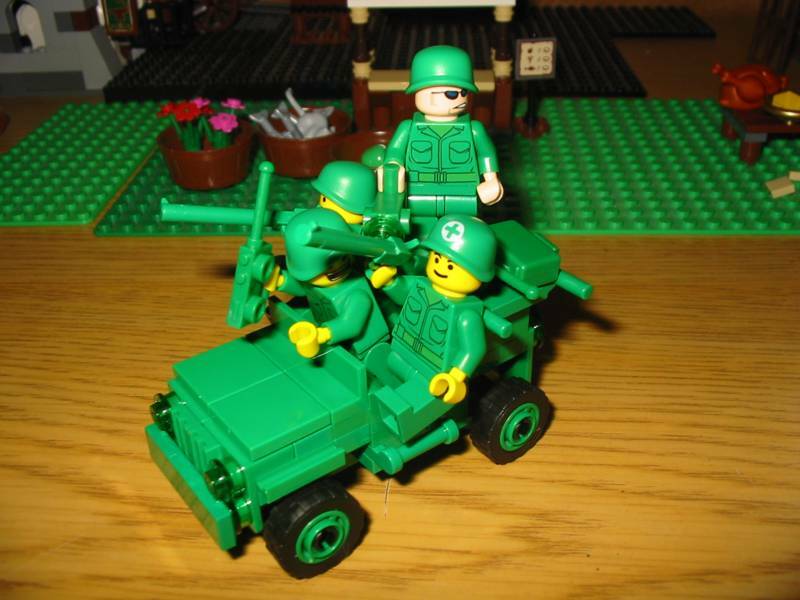 Assuming this is accurate to the figs seen in the film (it's been awhile since I've watched it, and I can't seem to track down any good screen shots from the film that clearly show the army men), yes, it looks like the Toy Story troops are based on Vietnam-era regular Army soldiers. 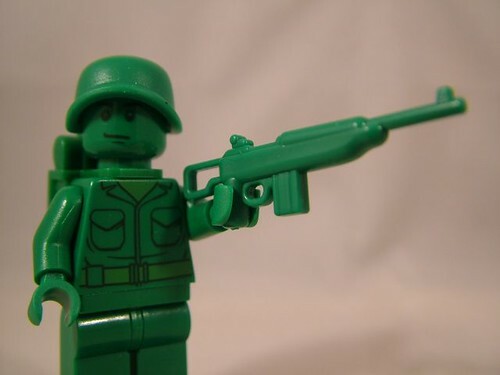 That said, outside of Toy Story, many, many different types of plastic green army men were and continue to be produced, many of which ARE based on WWII troops, both US and other forces (primarily Germany), so both WWII and Vietnam-era weaponry is appropriate. I got it! Took me three days and several visits to ransacked Walmarts, but I got it! 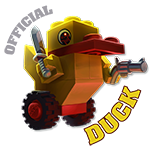 Here are all the variations everyone has mentioned. Much coolness. What do you think? Are the tan pants better? The tan pants aren't too bad at all. They may have some possibilities and the green pants with tan torso would break up the uniformity while still keeping it the same army, hmmm. I can't recall if I said the original Soldiers where WWII or not, I don't think I did. However, I think they will look great AS WWII soldiers. Who wants to be on the losing side of in NAM. 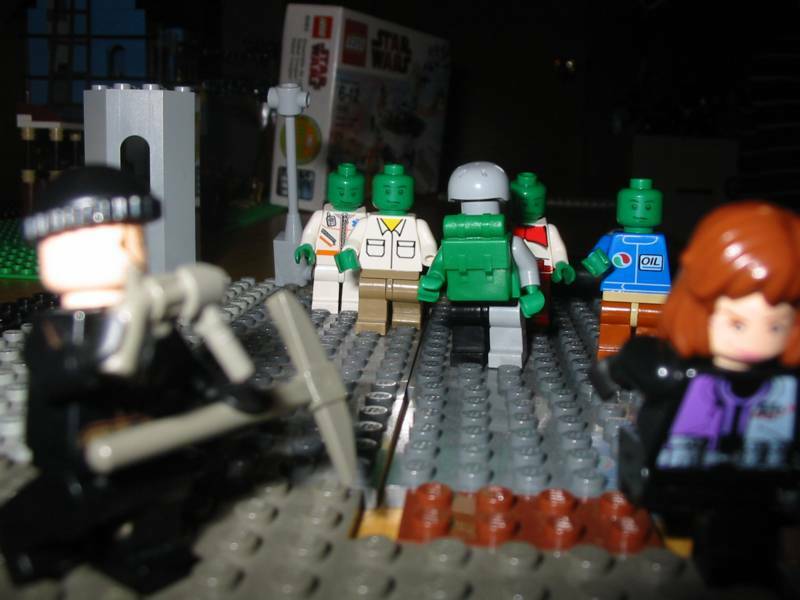 I like the green faced Zombies very much. What about darker tan pants like the zombie in the last picture instead of just plain tan? Yup, that would work I think. You know how it is. Mess about with stuff until you get what you like but yeah I think Brown legs tan hips and green torso would work nicely. 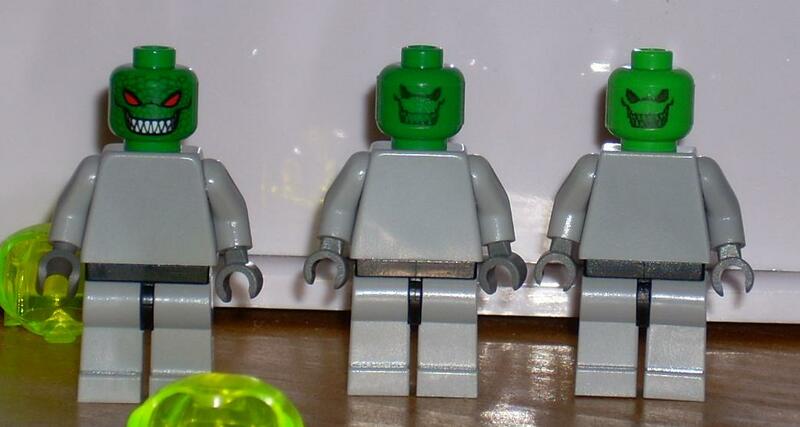 The figure on the left has the Origanl head made by lego(these cost way to much on bricklink). 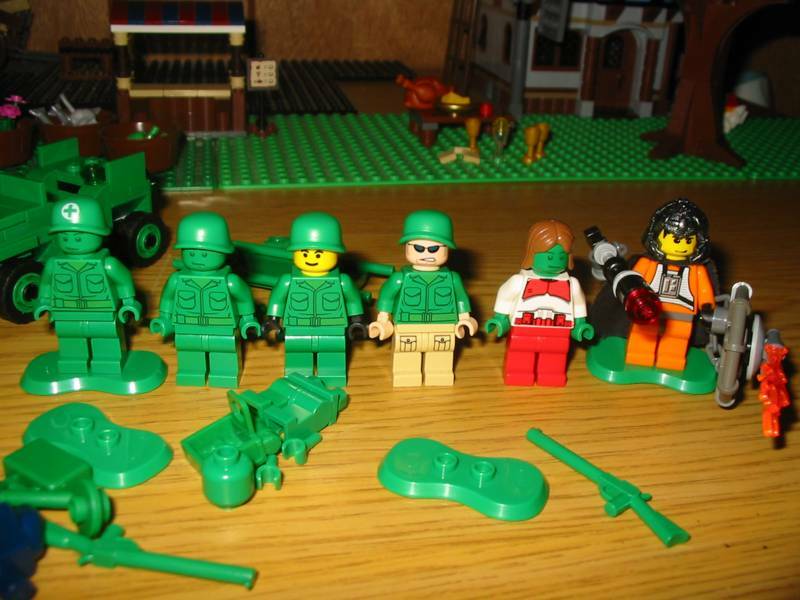 The centre is the green army men head with sticker and the fig on the right is with the light green head with sticker. 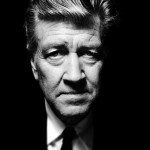 David, that looks like it will be a great faction. 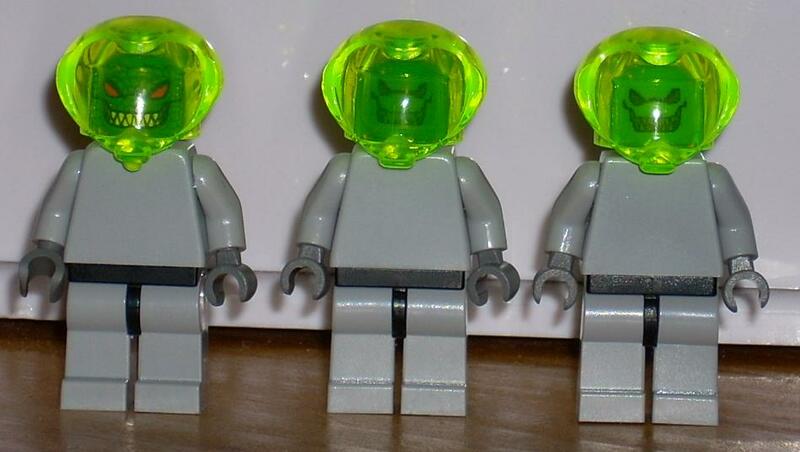 Come up with something cool for the fighters- and maybe print a decal for the torso, something spacesuity. I really need to post the rest of my factions. Give me till the weekend. its probably because I've seen both Apocalypse now and full metal Jacket the last couple of days, but I really need to find a way to make a huey for them. 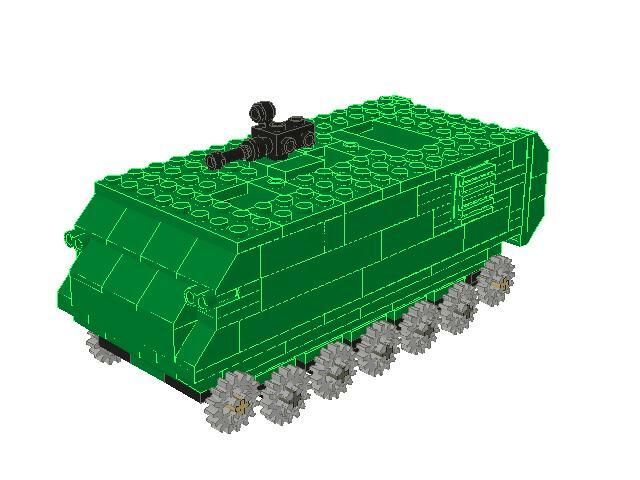 Instructions comming soon to compliment the green army men. Note this is the wip pic for the version 2, I'm actually on the 5th. hmmm, so who i gonna buy a set?. .